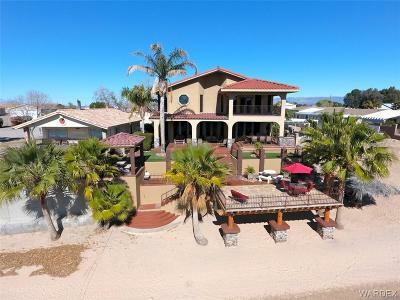 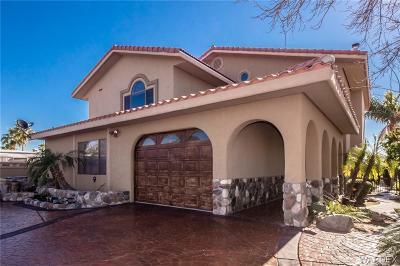 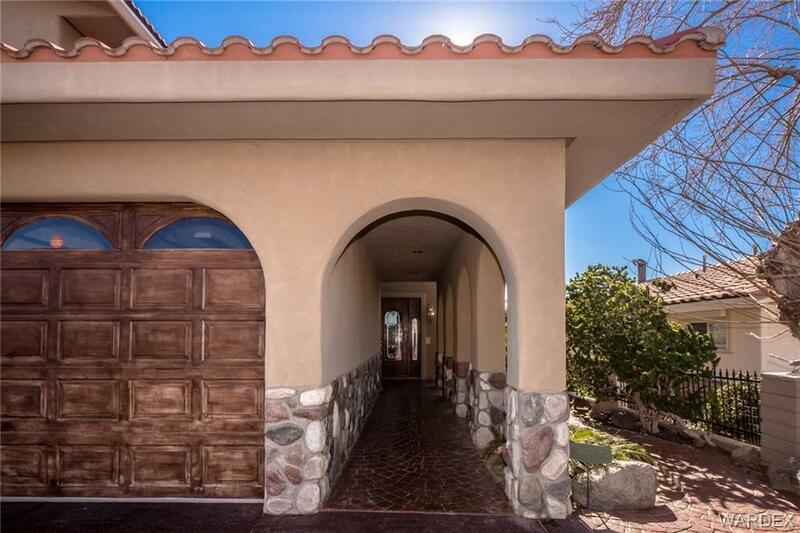 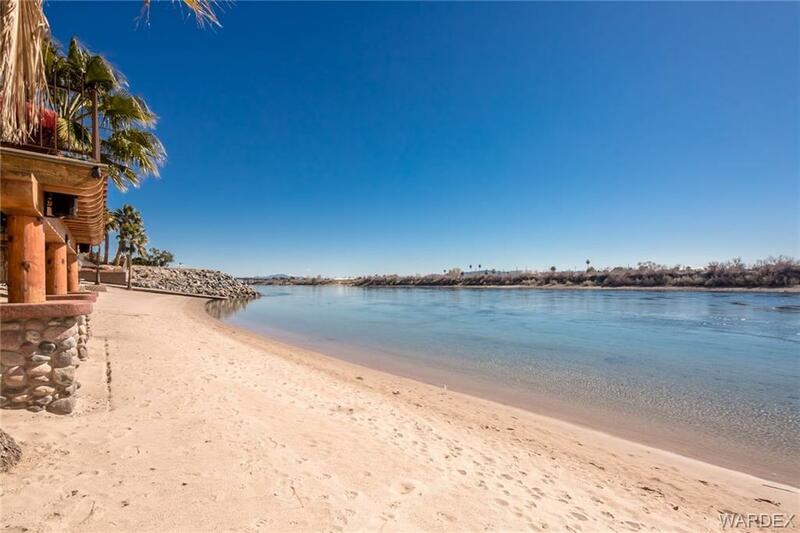 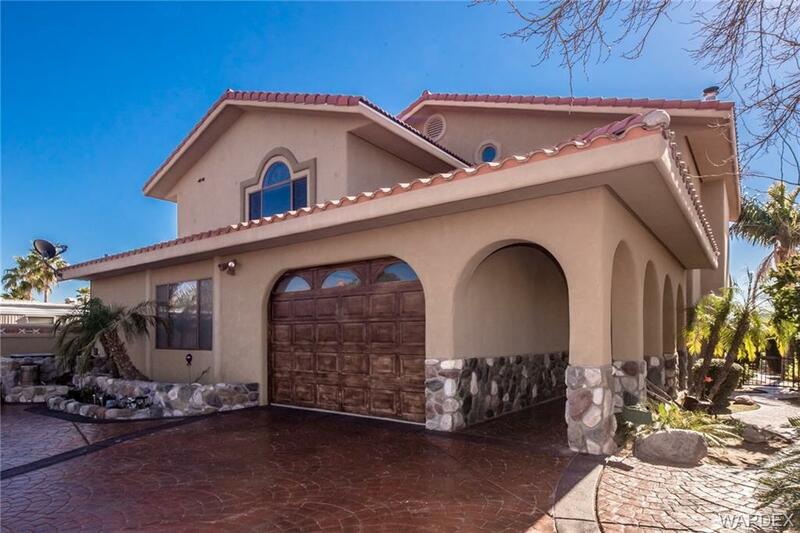 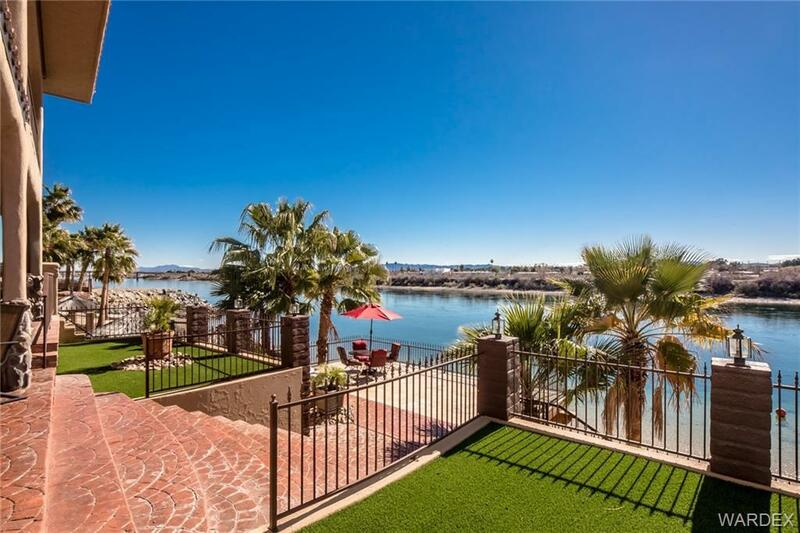 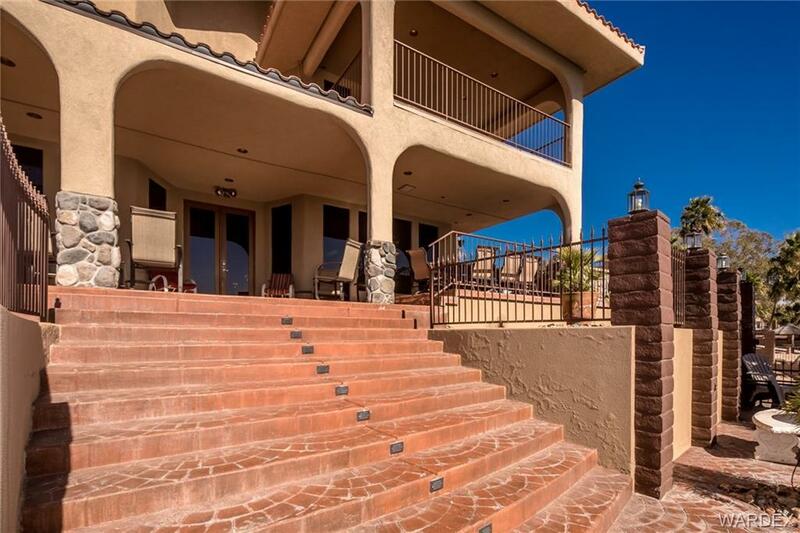 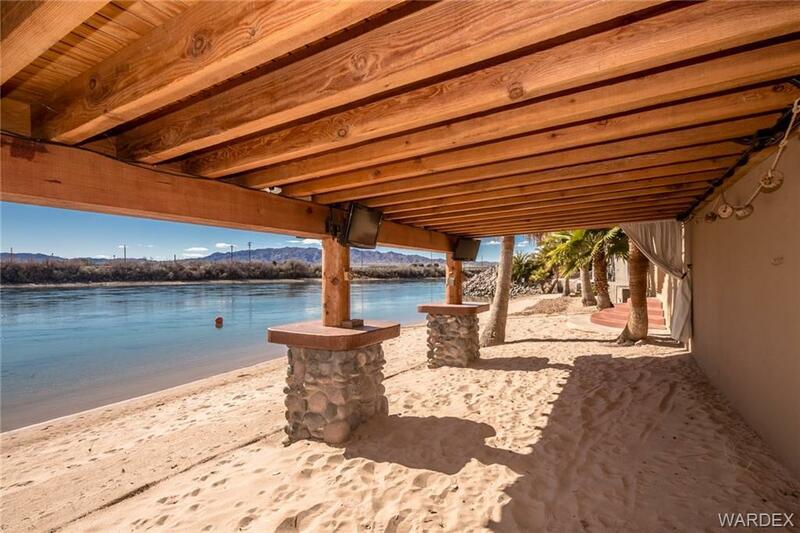 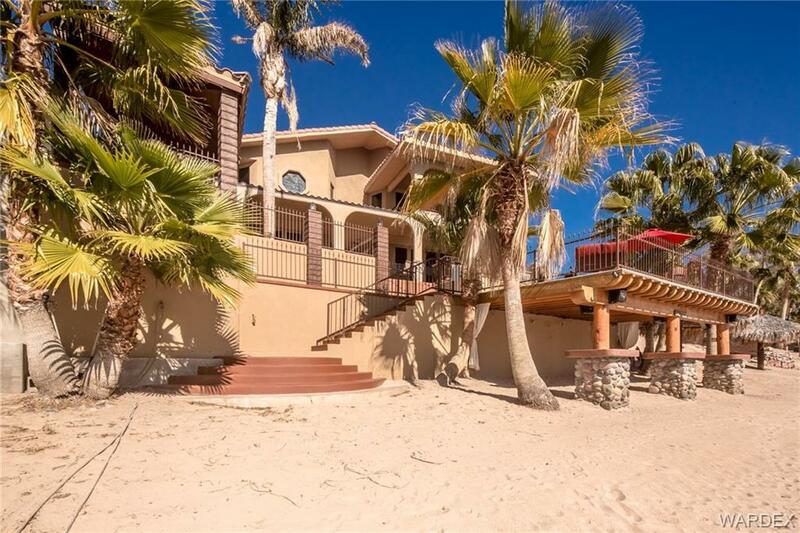 Sand between the toes and sun filled days are the memories you will make in this home of over 3000 sq feet. 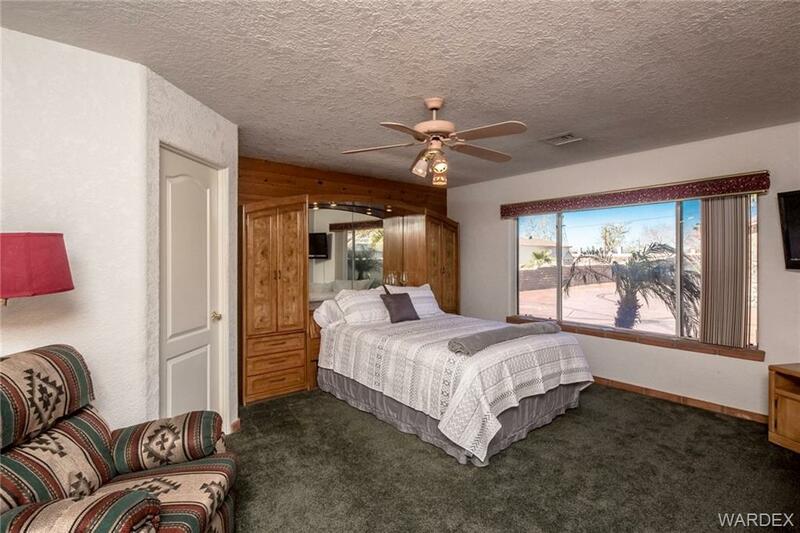 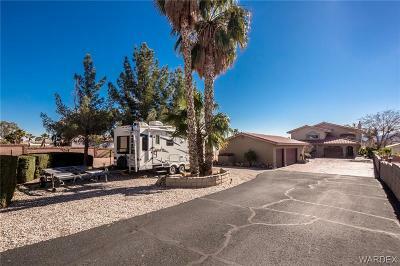 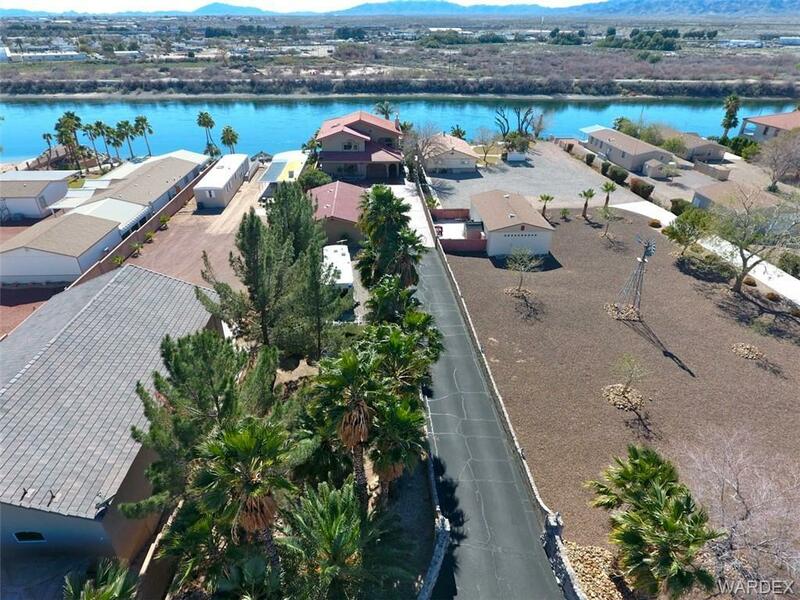 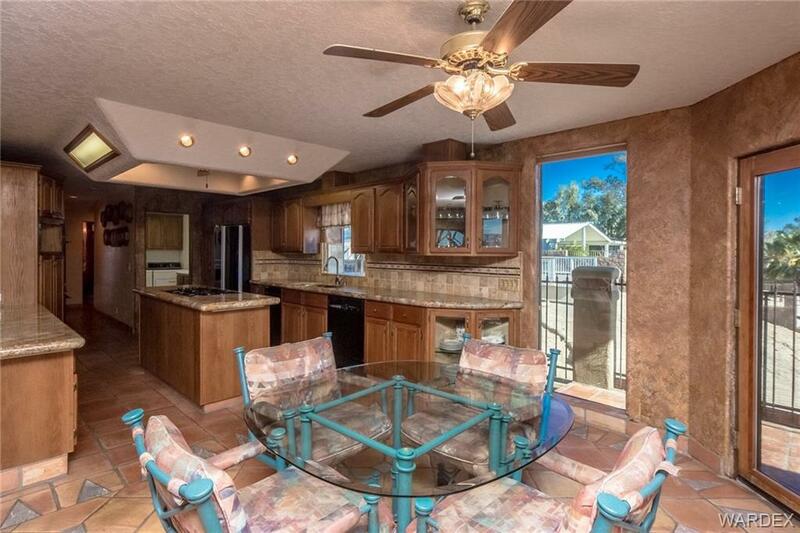 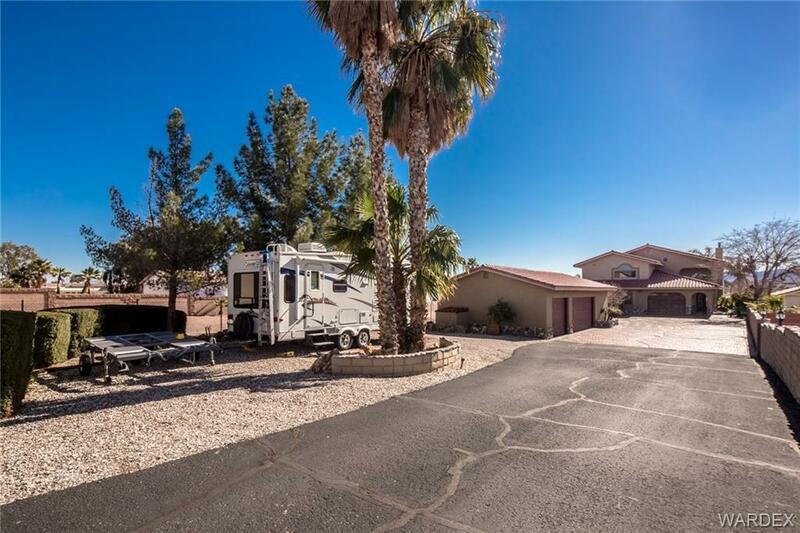 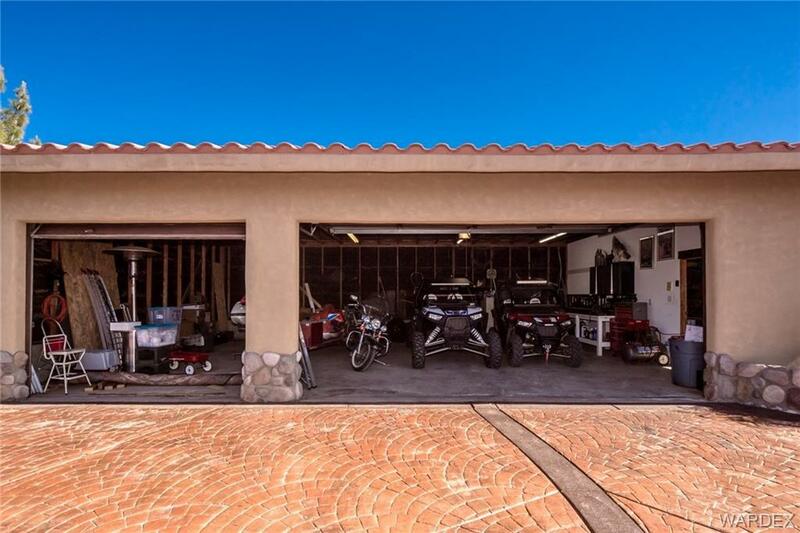 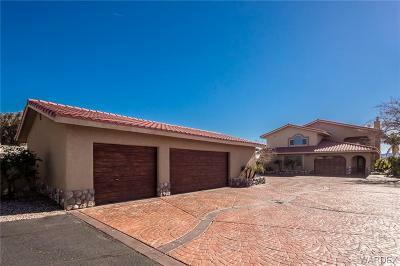 Long private drive with 3 car and 1 car garages with spacious areas for 2 RV's with hookups. 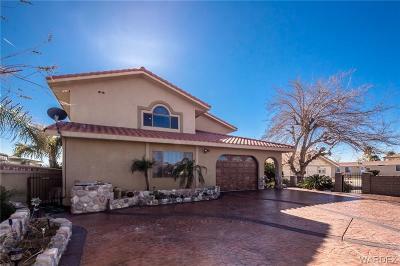 Mature landscaping gives privacy to the front and back of the home. 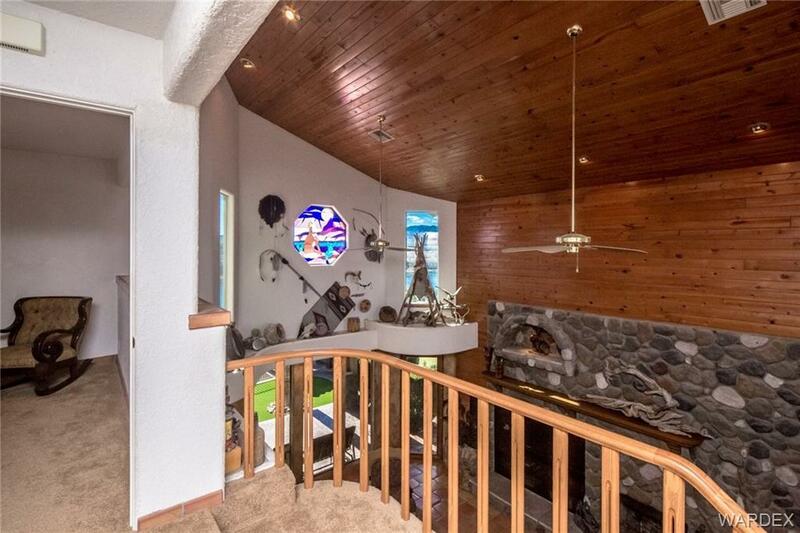 Rock exterior accents run through the home. 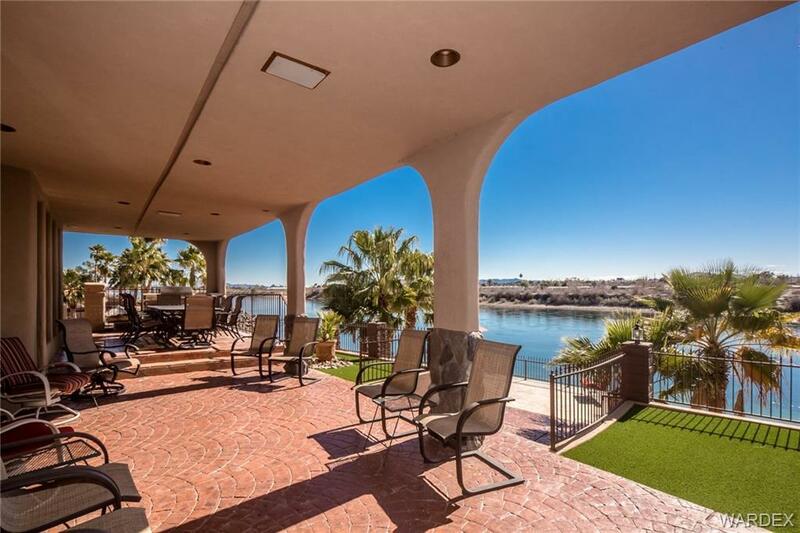 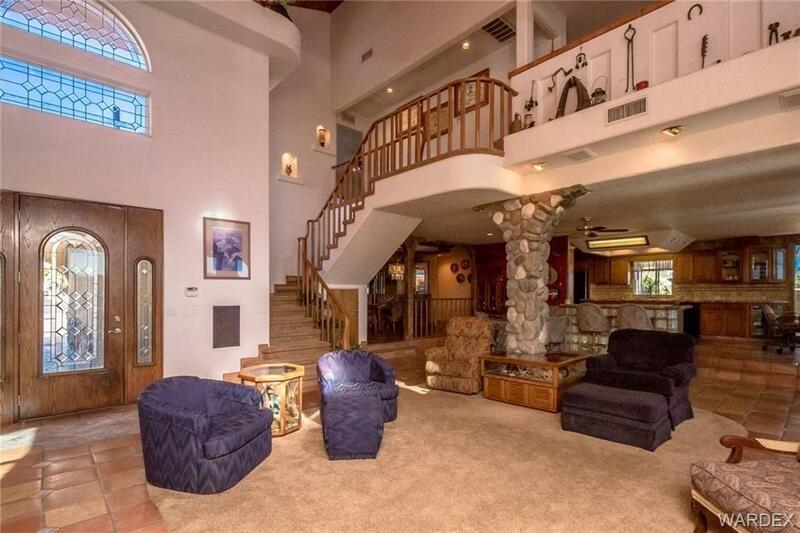 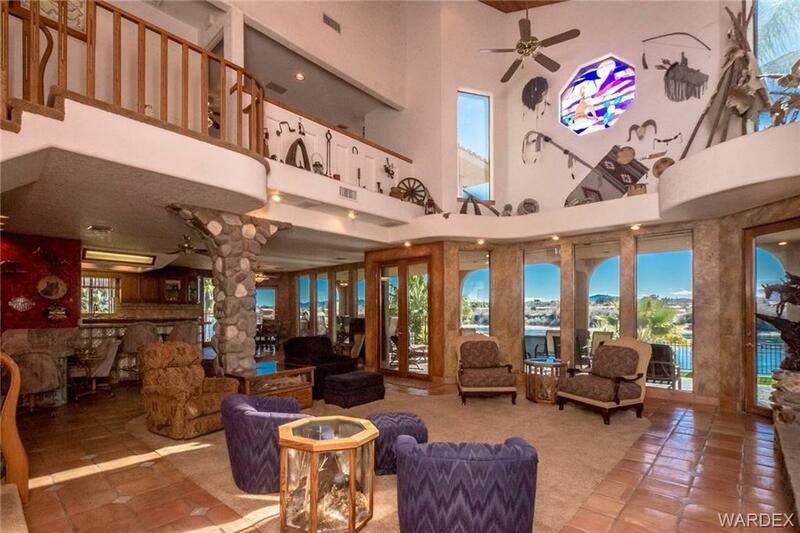 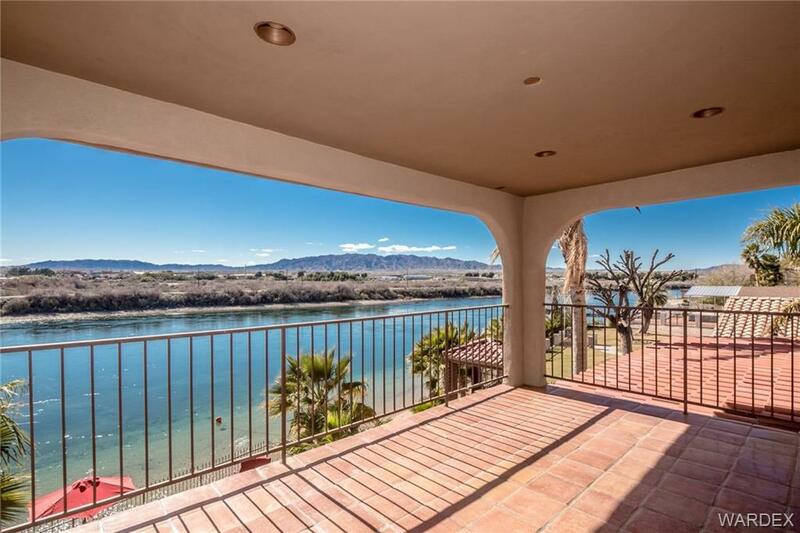 Dramatic two story ceilings frame the views of the Colorado River which are taken in from all rooms on the main floor. 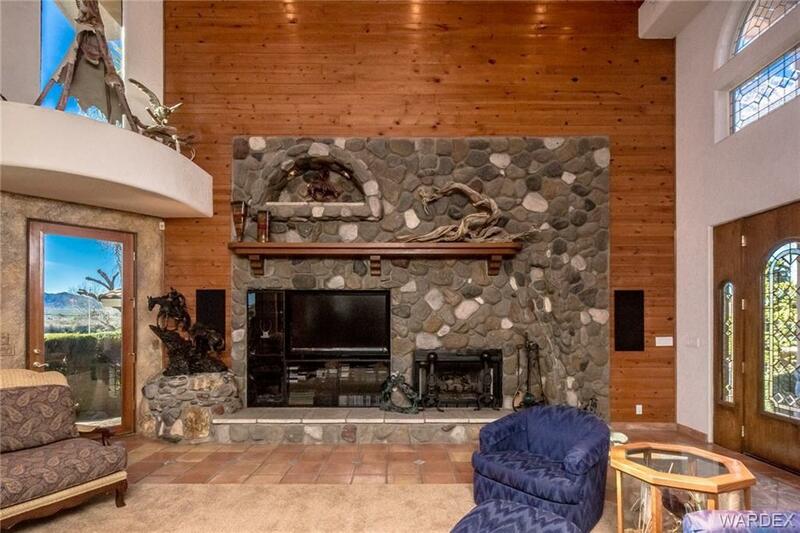 Stone fireplace with water feature create a second focal point in the living room. 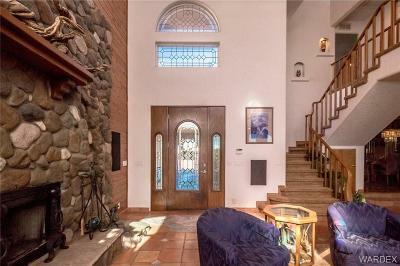 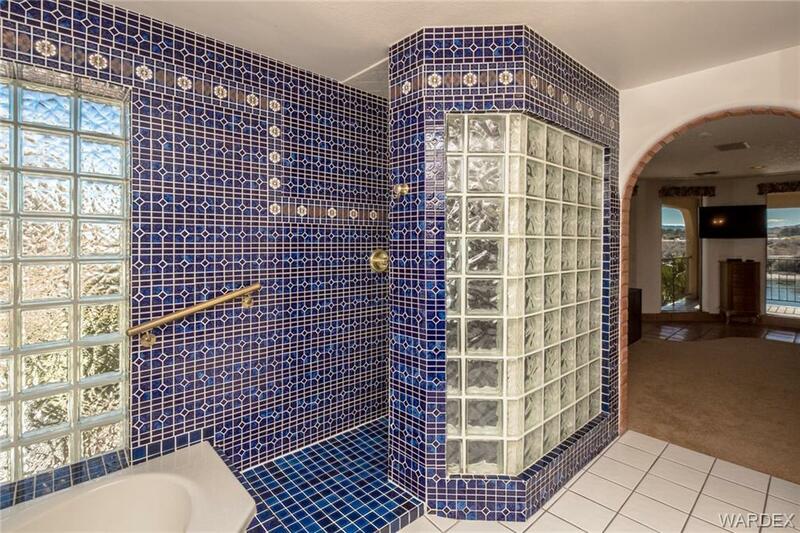 Beautiful tile floors with marble accents, stained glass windows and art display alcoves create a restful sanctuary. 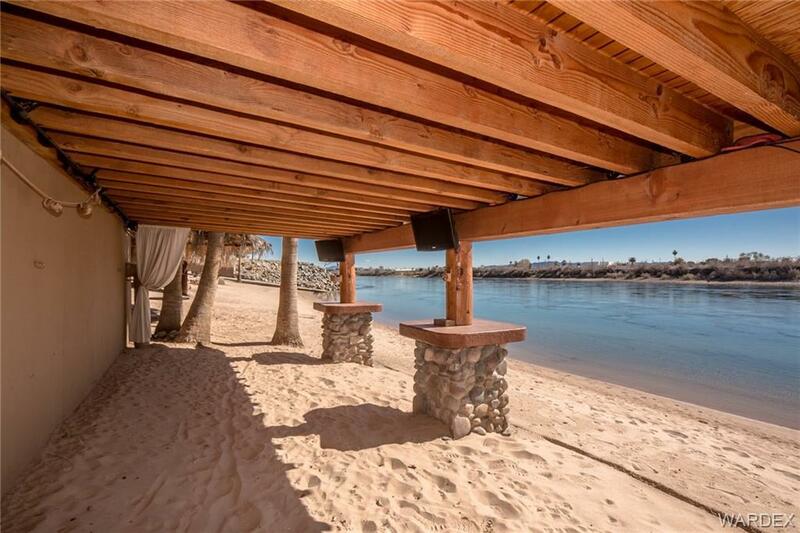 Attention to detail shows in every aspect of the construction of this custom home. 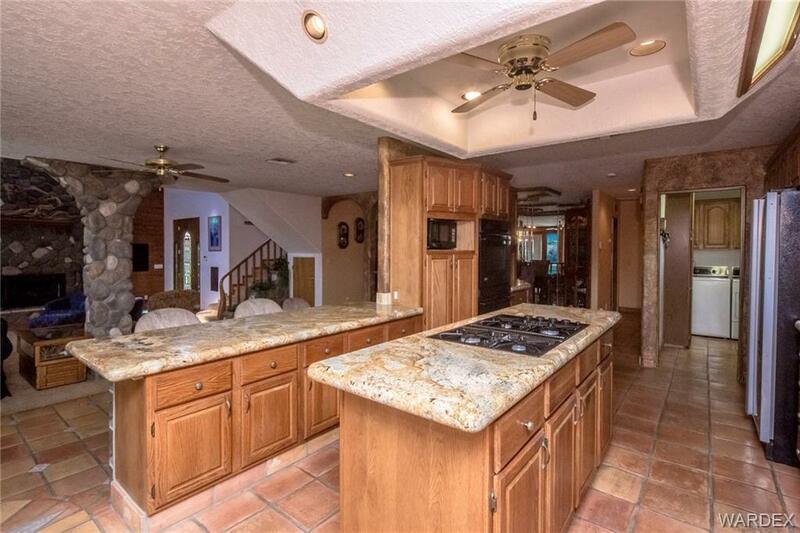 Wet bar complete with refrigerator and storage, seating with marble counters and backsplash create a perfect spot for cocktail time. 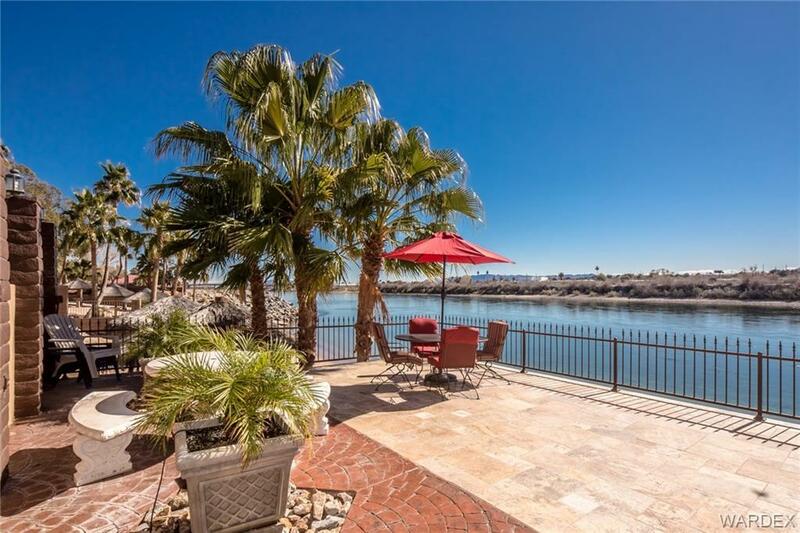 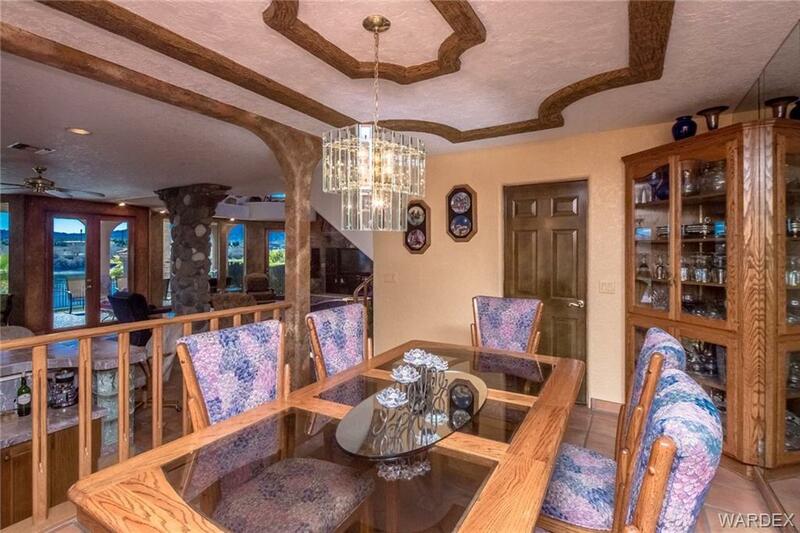 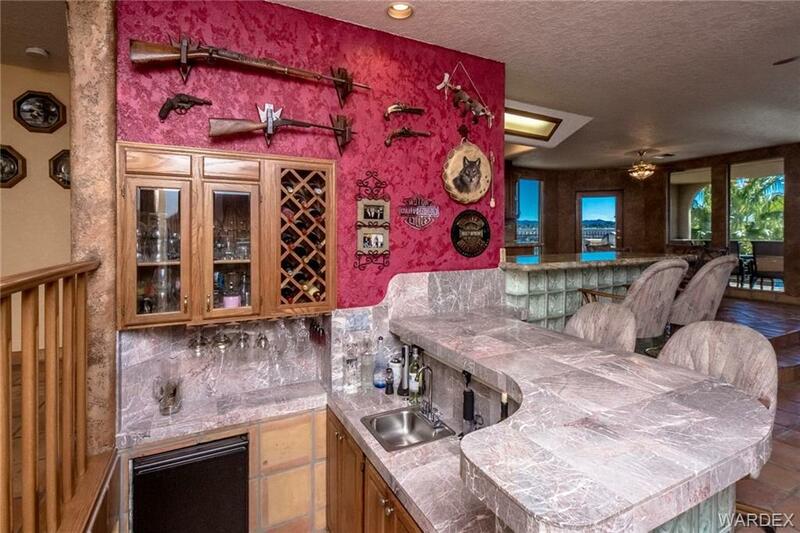 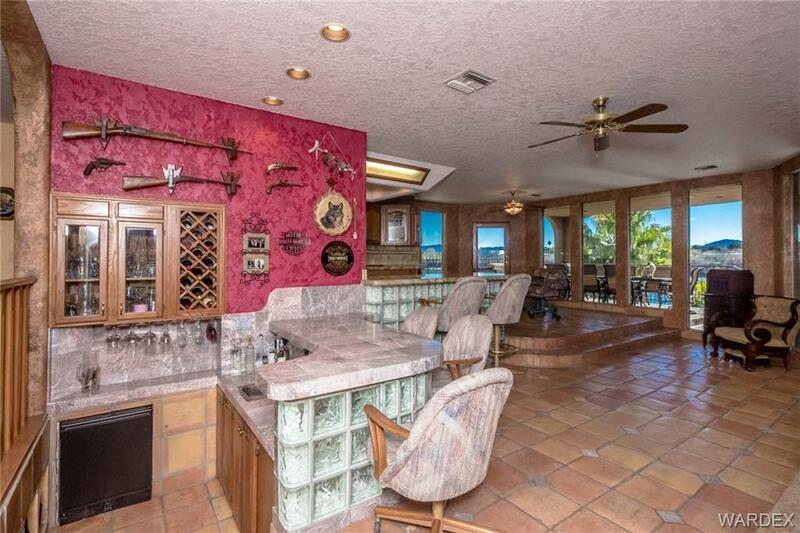 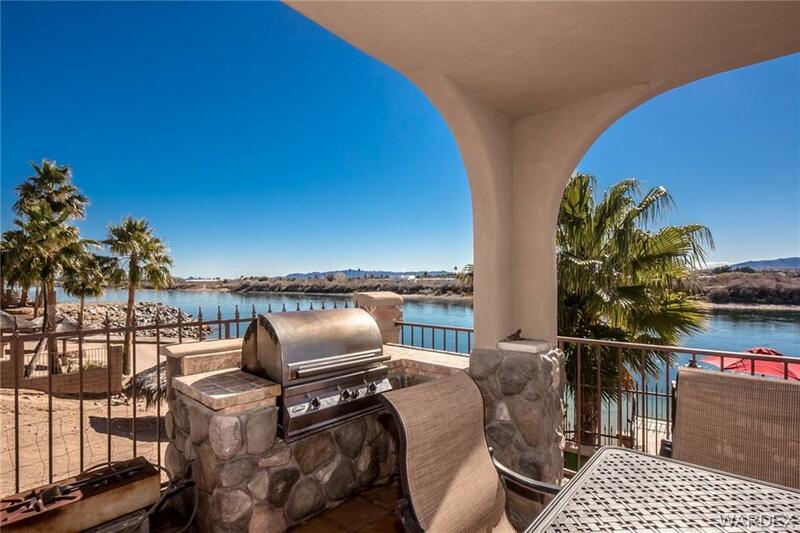 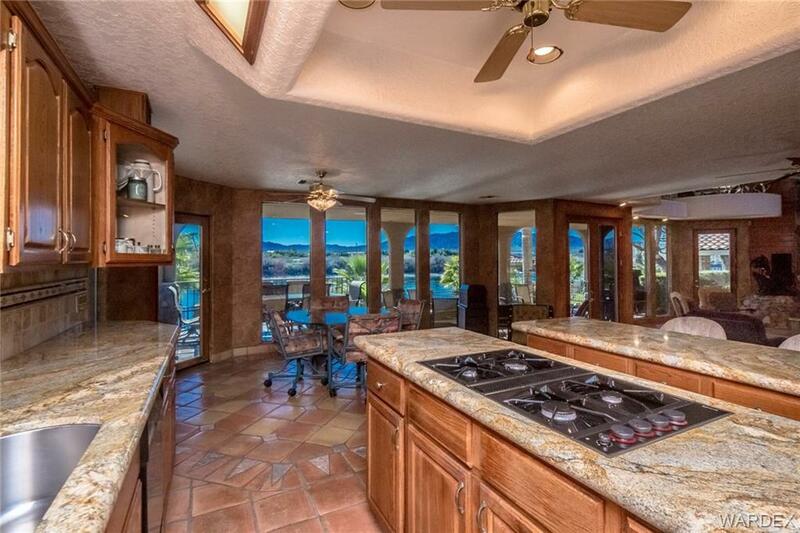 Kitchen offers river views, granite counters, custom cabinets and breakfast bar. 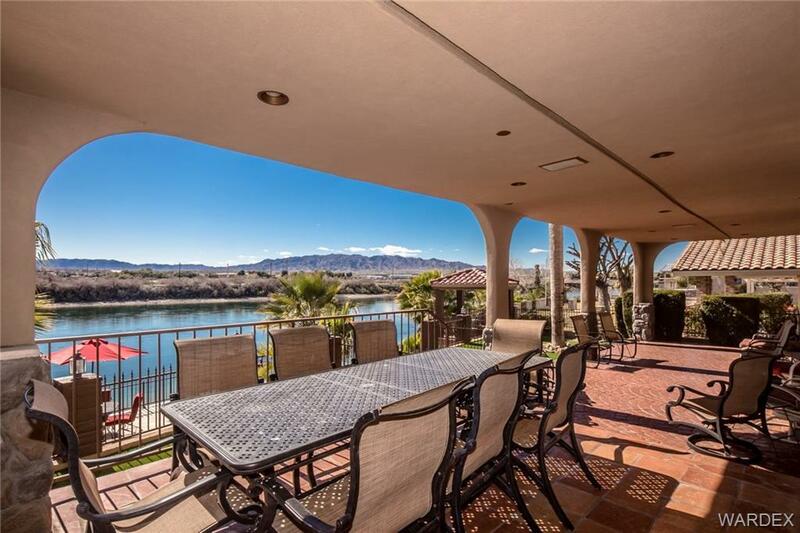 Both casual and formal dining with river views. 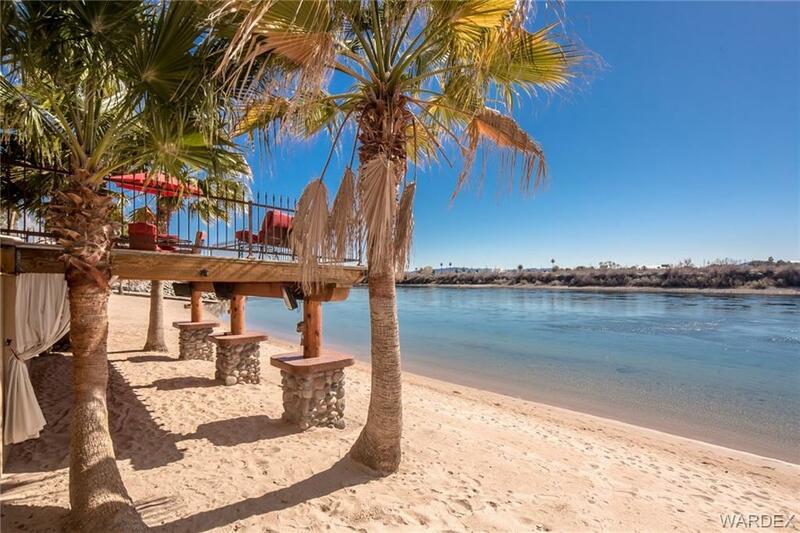 Guests will be right at home as each bedroom includes their own bath.Graceful staircase with hand crafted banister wraps upward taking in the river view too. 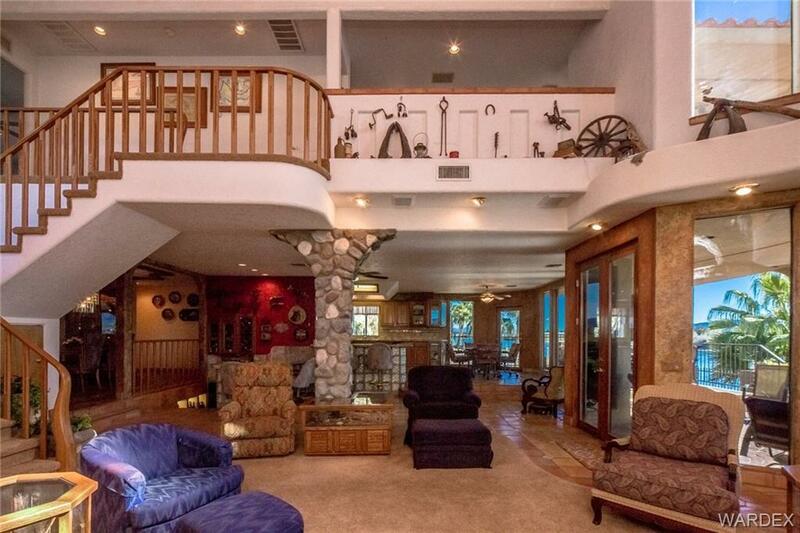 Landing offers great view of the river and living area. 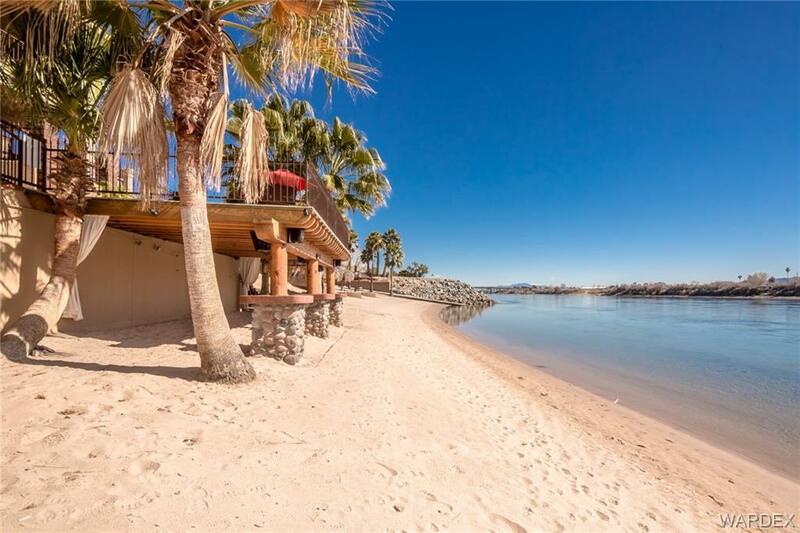 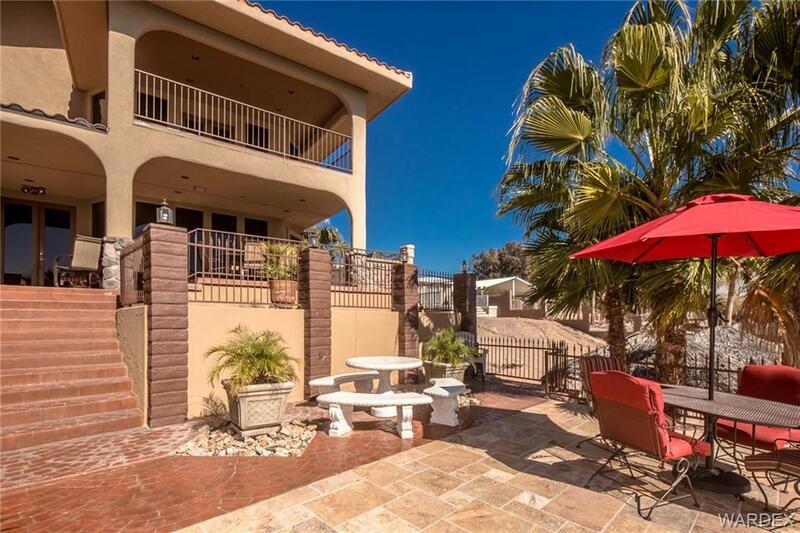 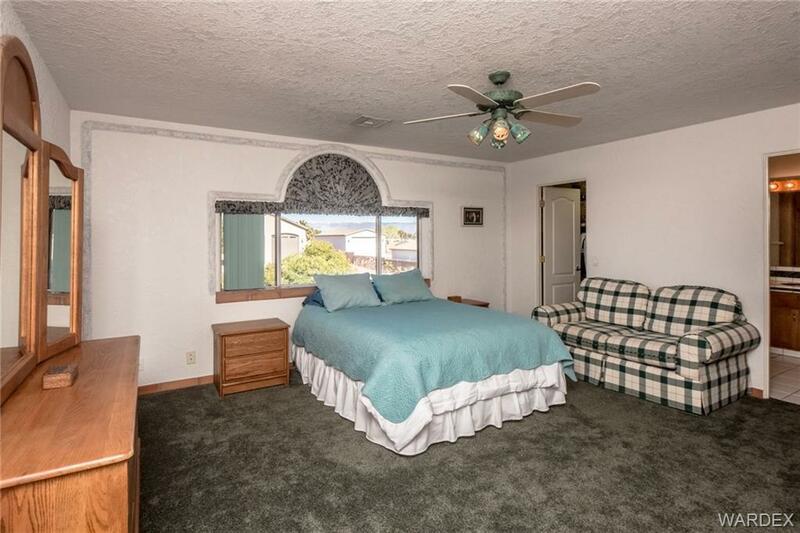 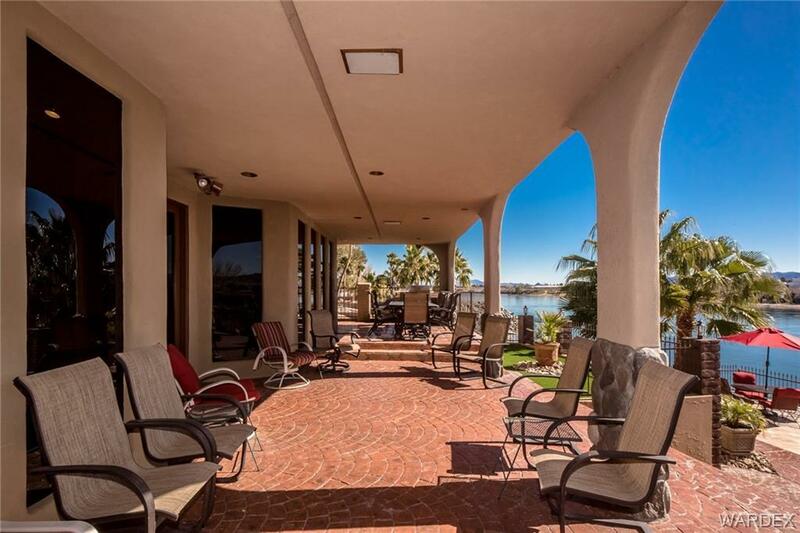 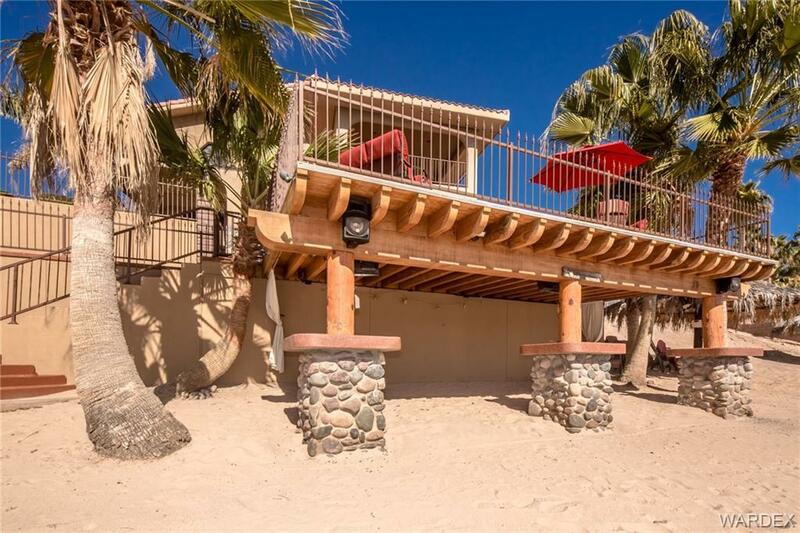 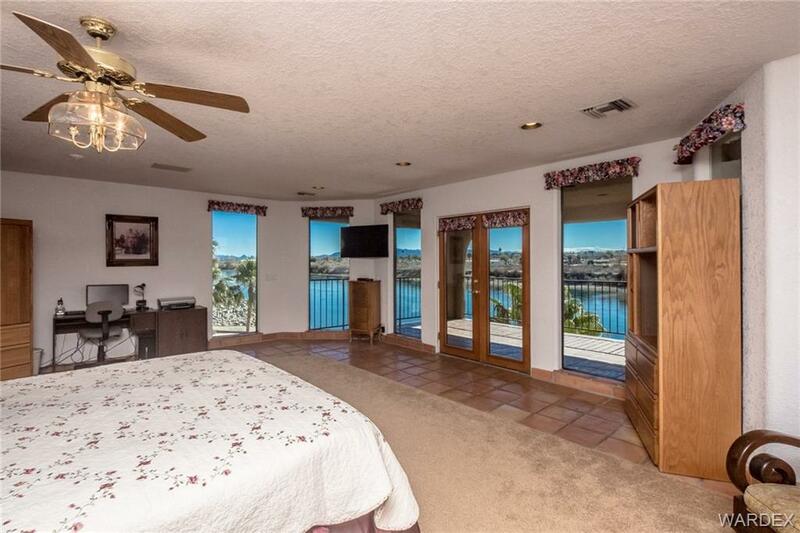 Master bedroom is large with the patio overlooking the lower patios, beach and river. 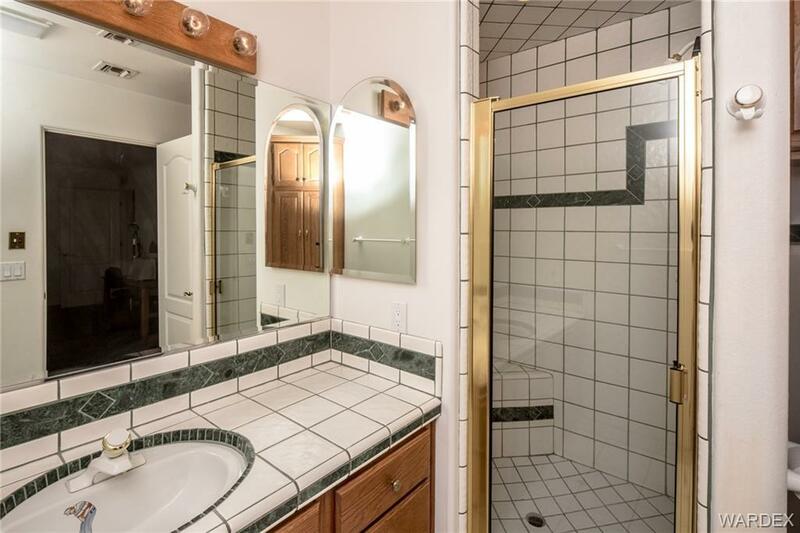 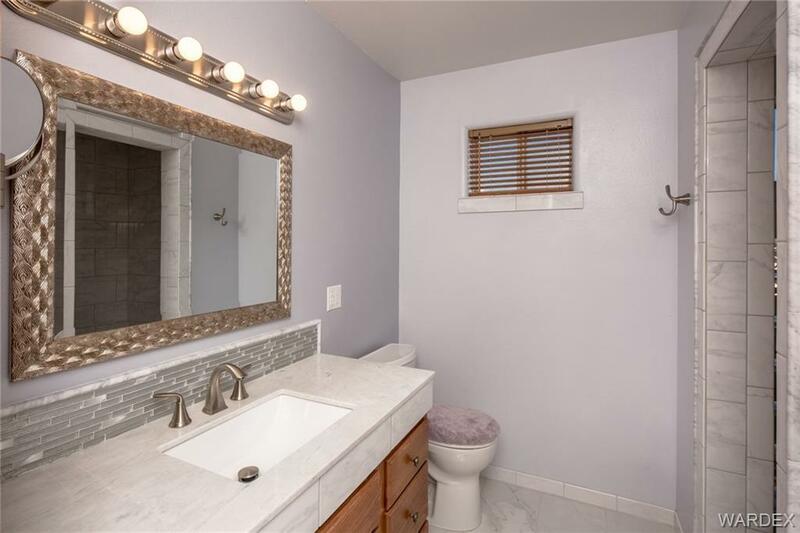 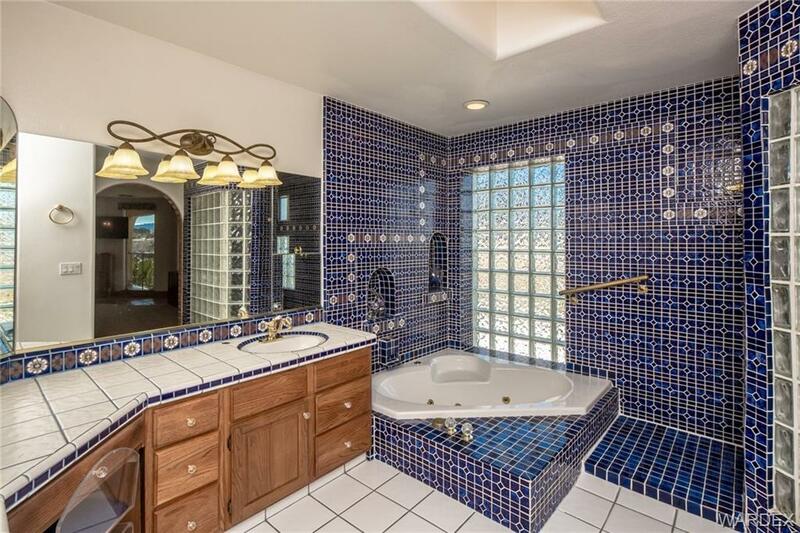 Master bath is elegant with double sinks, jetted tub and large walk-in shower. Multiple outdoor patios, some with shade some in full sun create space for entertaining.Gazebo is a great lookout point. Beach area offers plenty of sand some shade and 3 TVs. Parcel is .53 of an acre with 61 feet on the Colorado River and 392 feet deep. 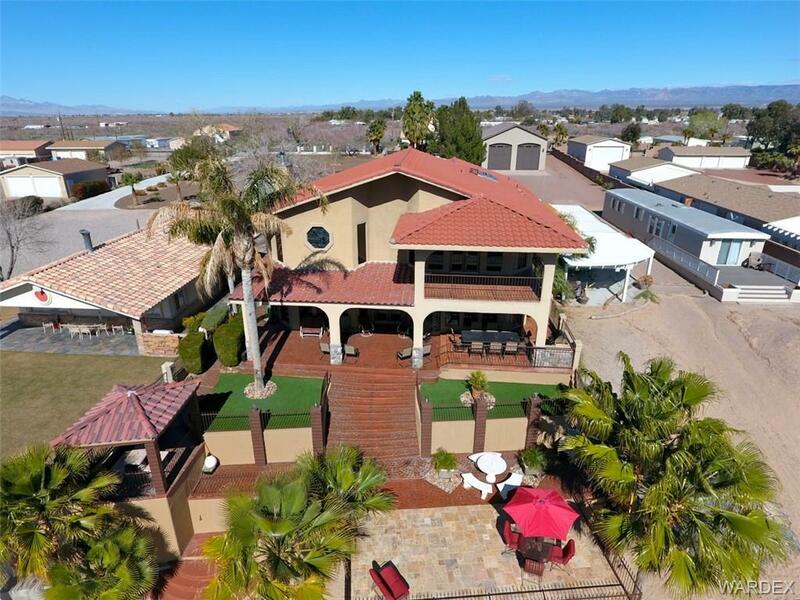 Palm trees, citrus and tropical greenery make this the perfect retreat!Community is gated for additional privacy.